There are a lot of pieces to this comic that I’m thankful for. 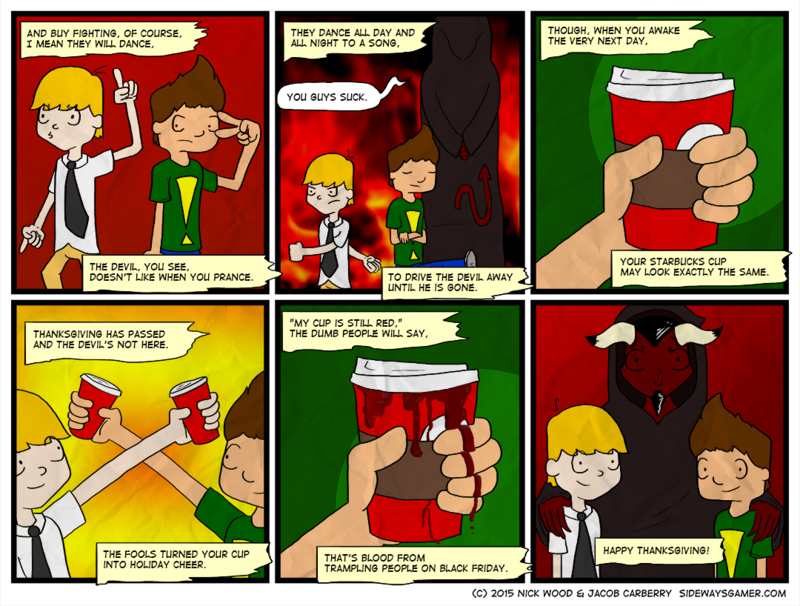 I’m thankful that we got to make fun of Starbucks. I’m also thankful for the new Photoshop brushes I used to draw this. I’m thankful this is basically the plot to Persona 4: Dancing All Night. I’m also thankful I bought a PS Vita so I could enjoy that wonder that is Persona 4 Golden, and every other game I became obsessed with. I’m getting off track.